"Featuring the TruArc Global Needle system that will not lose polarity and resists magnetic interference. 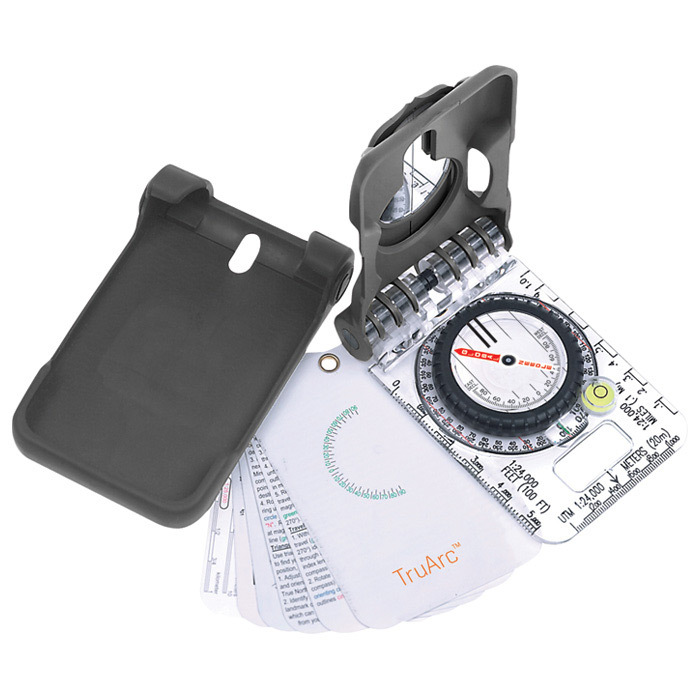 Classic innovations like the triple clinometer system, tool-less declination adjustment, and the protective cover and foot make this a timeless backcountry companion. Features: TruArc Global Needle, Ever-North Magnet, map magnifier, sighting mirror, bubble level, clinometer, magnified readout, 1° resolution. Dimensions: 4.1"" x 2.5"" x 1"". Wt: 3.6 oz."